Daniella Holloway was so ready to become Daniella Epstein. She spent the second half of high school hoping Quincy would give her a promise ring. 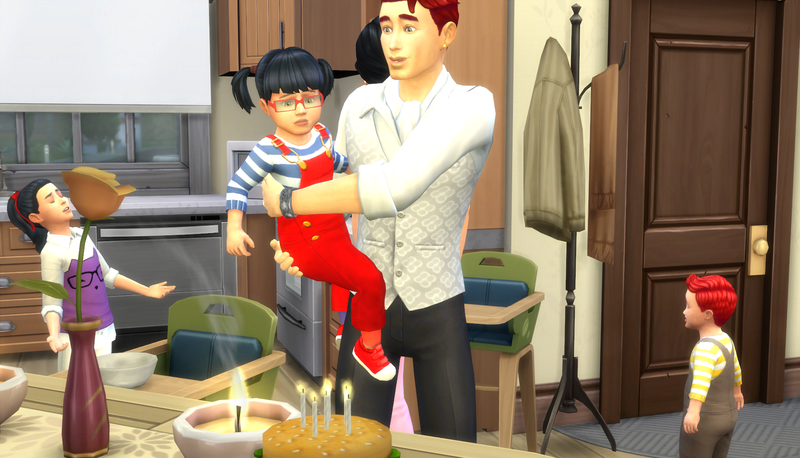 They were only two days away from their birthdays when that finally happened. Then she spent the early part of her Young Adult phase wishing he’d propose. They were already the parents of three toddlers by the time that happened. Then she spent another chunk of her Young Adult phase waiting for the wedding. 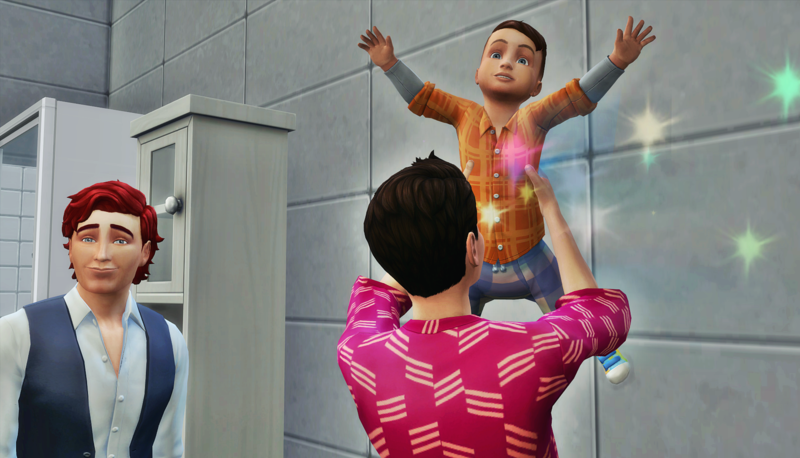 They wanted their toddlers to age up to children first. Since they had the kids before the marriage anyway, they figured the least they could do is let their kids be old enough to remember the wedding. When the kids’ birthdays finally arrived, Daniella was overjoyed. 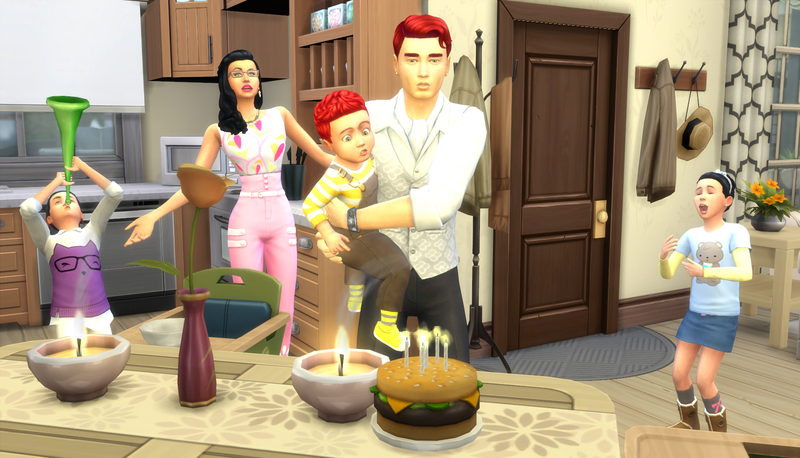 She didn’t want to throw a big birthday party for them because it would be too much work with the wedding coming that weekend. So they had a quiet celebration at home. Quincy decided that he needed to update his look when the kids did. 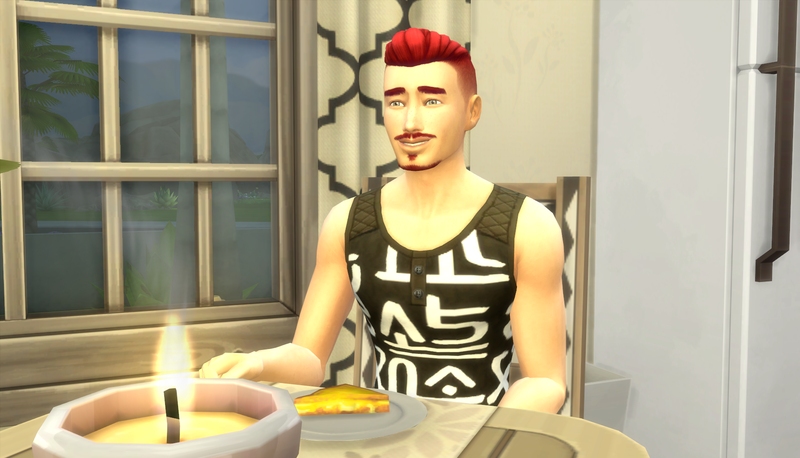 Daniella chose not to make any risky makeover changes this close to her wedding, but she had to admit she loved Quincy’s new haircut and facial hair. They let the triplets pick out their own new clothes. The kids tried to have their own independent look rather than simply wearing clones of each other’s outfits. Daniella missed when she could dress them all alike as toddlers, but she had to admit her kids had style. Trying to fit three child size beds into the triplets’ bedroom took the room from adorably cozy to way too small. Daniella had the thought that Laurel built the house that way on purpose. It helped to drive home point that there was more room at the much larger Epstein house. She tried not to assume her future mother-in-law was actively sabotaging Quincy’s attempts at independence, and instead focused on the places where they could agree. 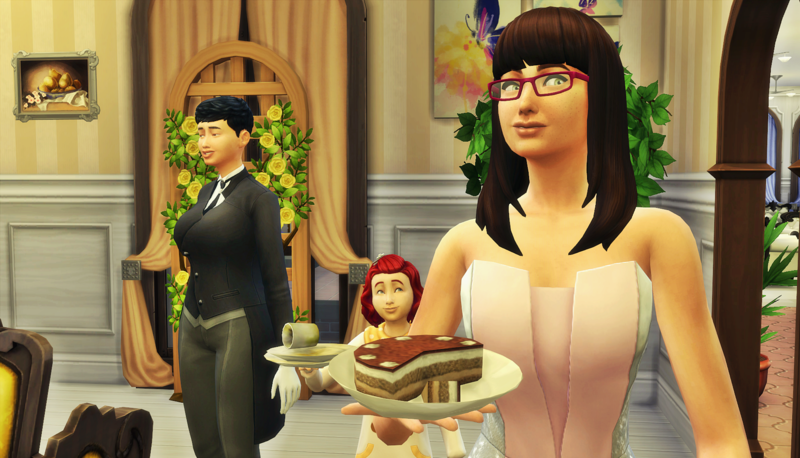 Daniella was happily doing all the wedding things, and Laurel was a great support for that. In those moments where she would have missed having a mother around, Laurel stepped up admirably. 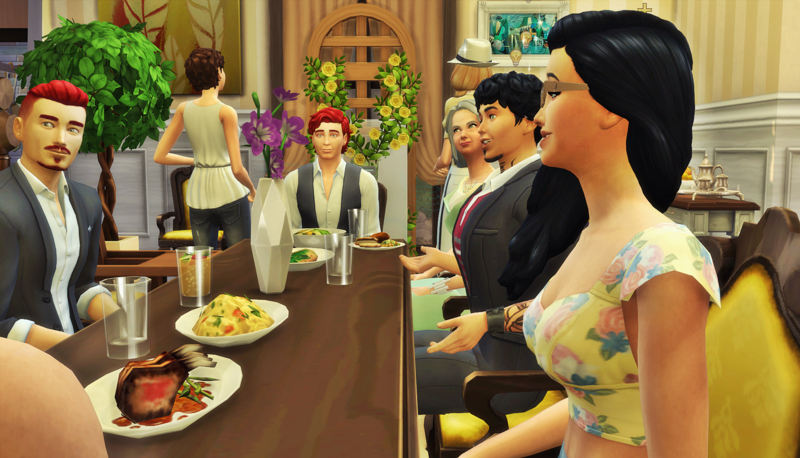 When Laurel offered to throw a dinner party after the triplets aged up, Daniella happily took her up on the offer.. It would function a bit like a rehearsal dinner, and would be a nice way to bring their families together before the wedding. The guest list included all of the Epsteins, except Brooklyn and Bianca, who were flying in on holiday the next day for the wedding. 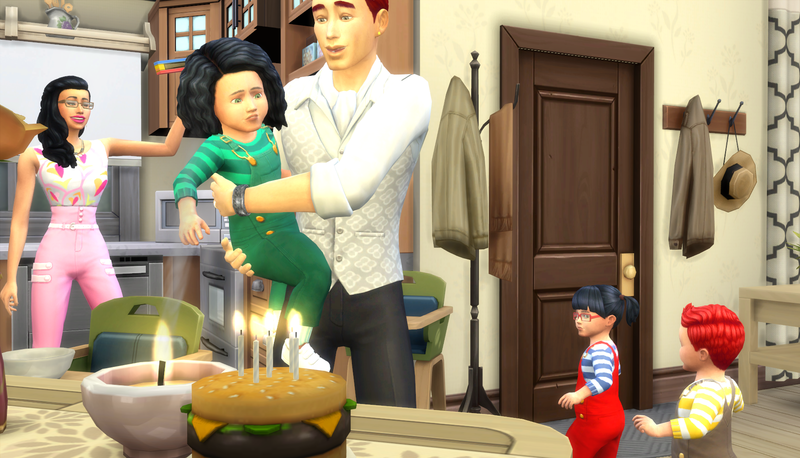 It also included all of the Holloways, their in-laws, and baby Gabriel’s paternal side. 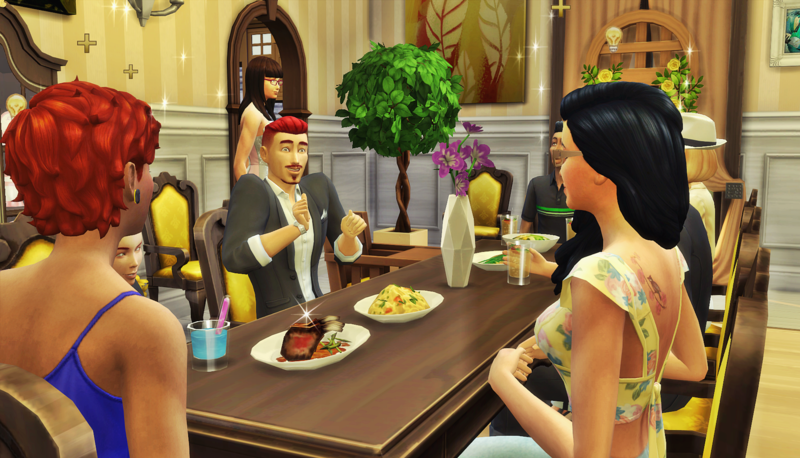 It was becoming habit for these Sims to throw huge parties where there were more butts than seats. 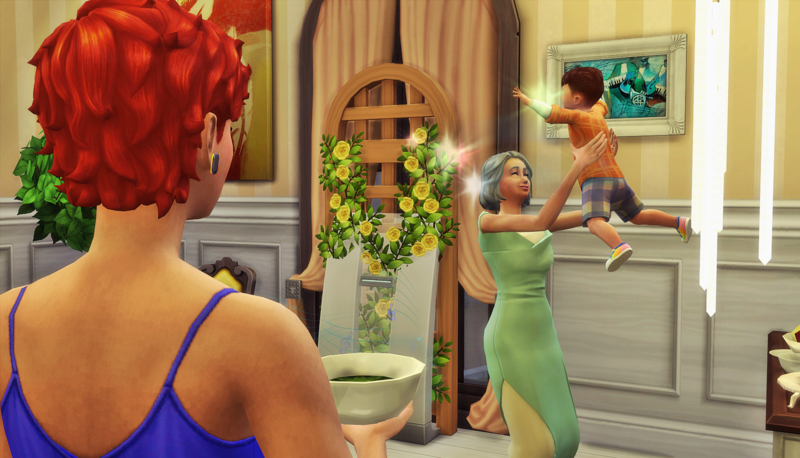 But no one would deny the celebratory feeling of two families becoming one. An hour before the party, Laurel was at her wit’s end. Her youngest Emilie was going through a phase. She called it being an artist, Laurel called it frustrating. She never had those problems with Quincy and Robyn when they were younger. 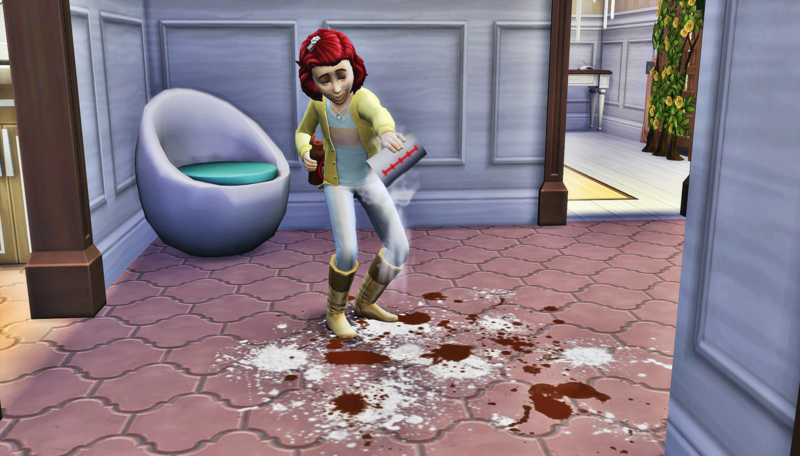 And the butler rushing in to clean before she could have Emilie do it kind of undermined her point of being more responsible and neat. First world problems, amiright? With the mess cleaned up, and all the food ready, the guests arrived and the party commenced. Laurel had a recent e-mail chock ful of photos from the girls saying how happy they were and also how excited they were to visit and see their older brother get married. 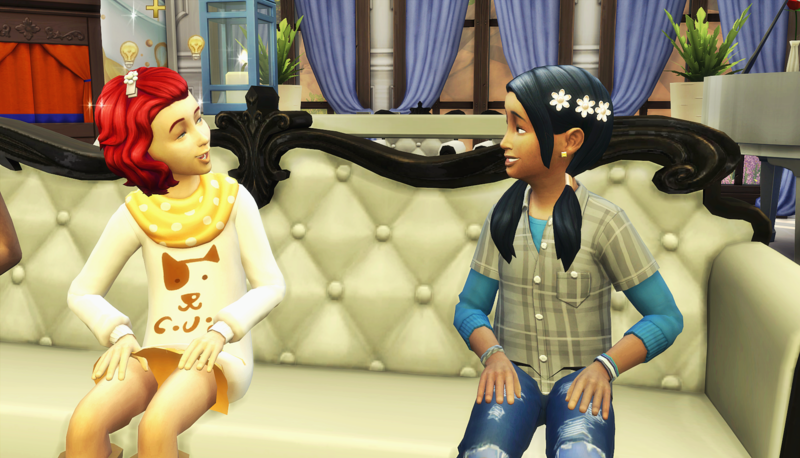 Laurel was happy to quote they were “living their best life.” She talked about the great friends they met at university, she fussed about Brooklyn’s extreme haircut, and she wondered if either of them was dating Marlene, Paul or Erik. Everyone loved the photos, and those who weren’t interested pretended to show interest like the good in-laws they were about to become. Soon the party was underway. With a house as large as the Epsteins’, there was room for everyone to spread out. Most of the party happened in the dining room near the music and buffet though. Quincy and Daniella were the happiest in the room as they were surrounded by family and friends who were all together because of them. 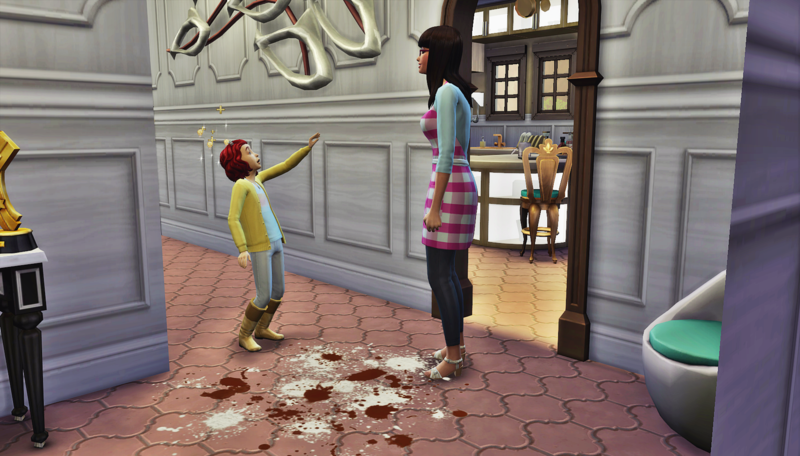 There were small moments that happened around the house as well. Like when Emilie Epstein tried to figure out how he was related to Kamila Chong. 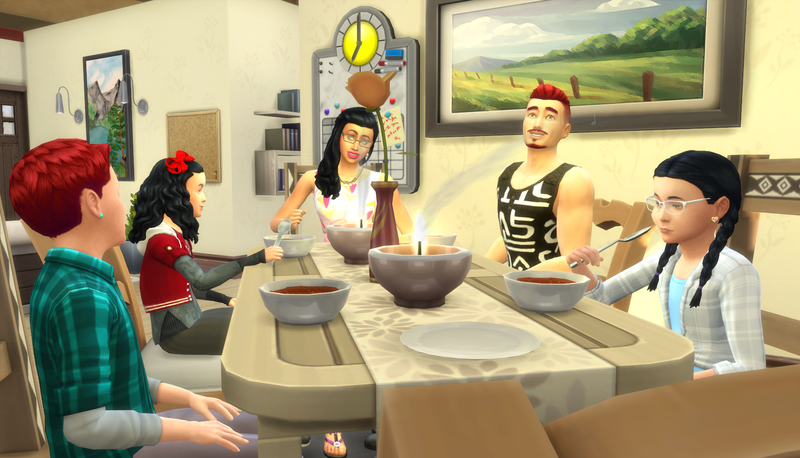 They eventually figured out that Emilie’s big brother’s fiancée’s big brother’s wife was Kamila’s big sister, so that made Kamila Emilie’s aunt-in-law… sort of. 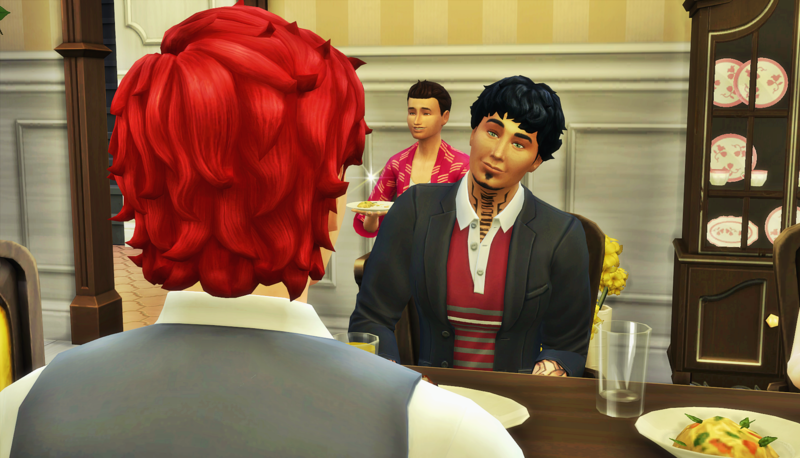 Back in the dining room, Luca noticed Kurt sitting and staring at Erik Rocca. It wasn’t clear if he wanted to hug him out of concern or punch him in the face. Luca had a moment of amusement at the thought that it might be the second one. But there was a nice moment later when Kurt, Erik, and Gabriel all ended up in an upstairs bathroom at the same time. Odd place to bond, but sweet nonetheless. 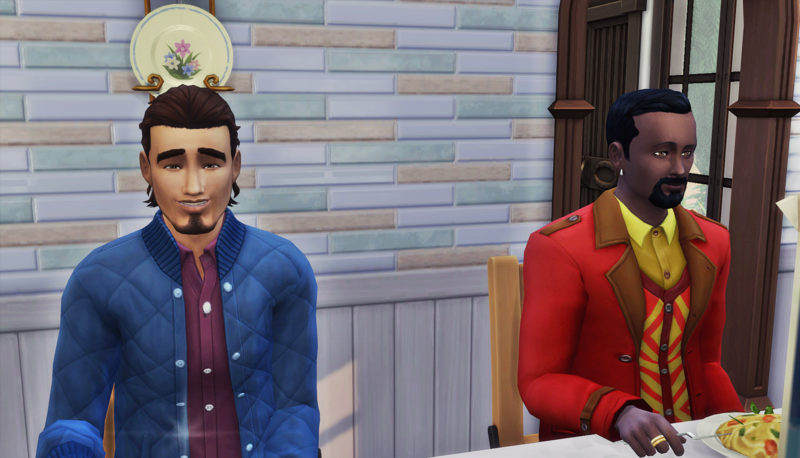 One awkward moment was when Paolo Rocca and Gunner Chong tried to figure out how they were related. Paolo’s son’s son’s mother’s brother’s fiancée’s brother’s wife was Gunner’s daughter. They didn’t even bother trying to figure out what their title would be, and just tried to enjoy the tasty food. 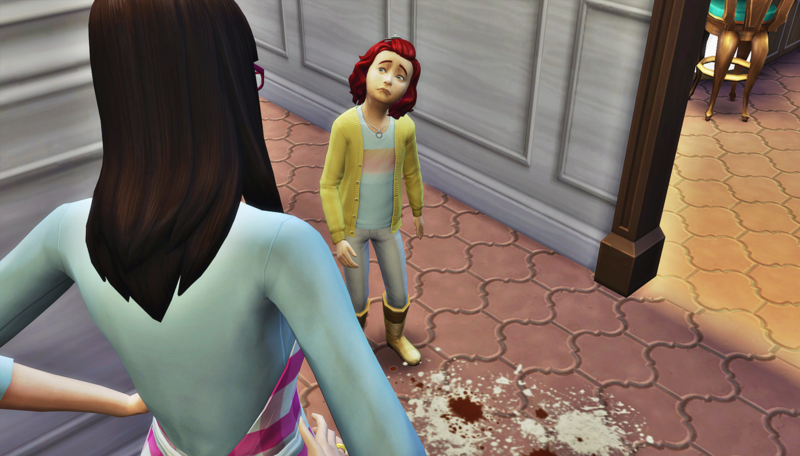 Another awkward moment was when Robyn tried to escape from the party to be alone for a bit, only to be followed by her grandmother Rita into her bedroom. She continued her group chat with Baby her friends as if her grandmother wasn’t sitting there judging the fact that she wasn’t helicopter parenting her son. 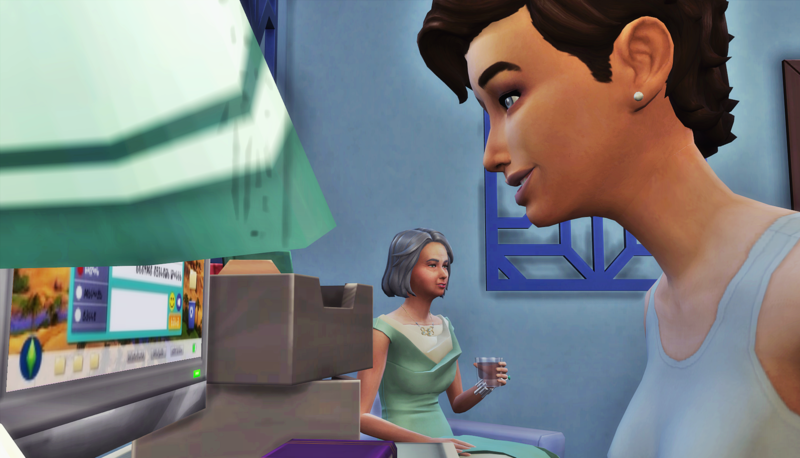 The most awkward moment came when Liz finally figured out why the gray-haired woman looked so familiar. All in all, it was a successful party. Everyone left feeling well fed and entertained. 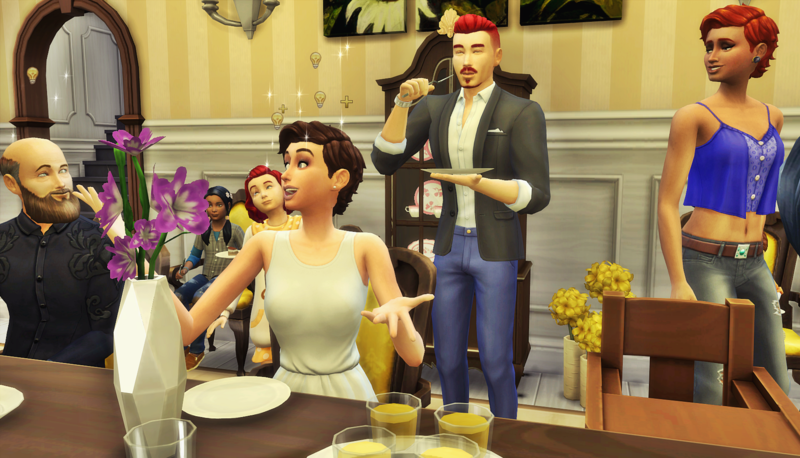 They all looked forward to the wedding, and were happy to have a lasting connection to what had become one of the most prominent families in their world. 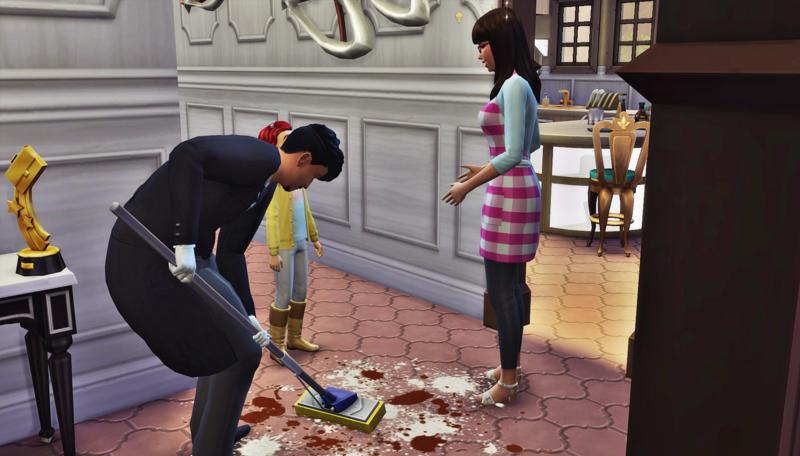 As Laurel had Emilie help clean up, she felt the sense of pride that can only come to a rich person who helps their butler put up the food and clean the dishes. 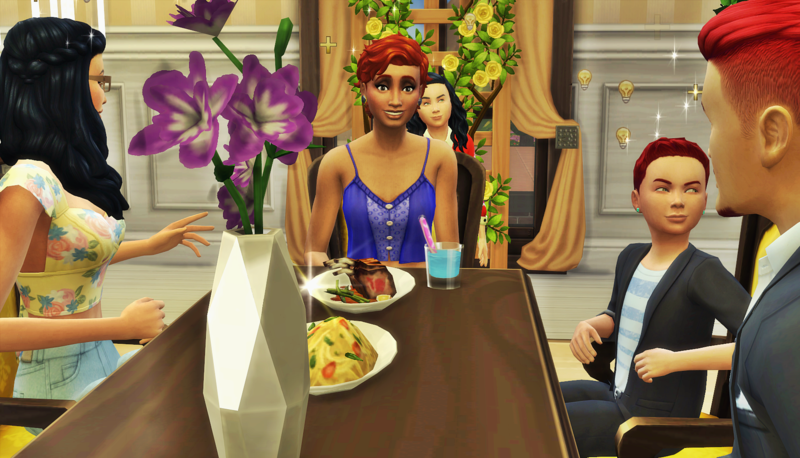 All the preparations were prepared, all the introductions introduced, and absolutely no family squabbles settled. It almost was time for the Epstein-Holloway wedding. Aren’t you excited?? SO eager for the big wedding! Is this story still a thing? It is! I’m in grad school right now and super busy. 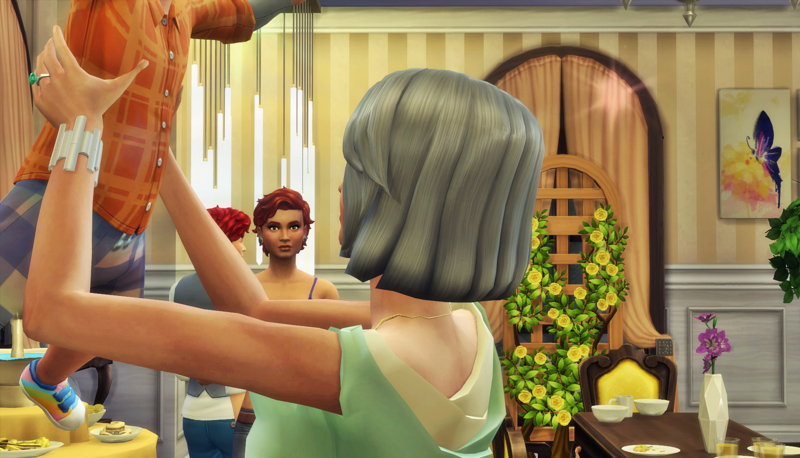 But because it’s my winter holiday, I’m finally working on finishing the chapter with Quincy & Daniella’s wedding! Oh, my…XD…Liz’s face, like ”Oh no..”It’s always interresting to see those parties, it’s almost like a crossover. ( But not really, since they are in the same universe…)Anyway, I hope the wedding is going to be calm ( excited for it!) and also hope that no one dies in the wedding…Looking at you, Jim Holloway. But yes, I love seeing the way the characters are interconnected too. It’s my uncorrected favorite part of doing a neighborhood rotation. Quincy looks kinda like a bad boy now LOL. Guess he wants to look more his age now? Or something lol. I died at Liz’s face when she figured out why grandma looked familiar. Awwwwkwaaaaard! OK! Wedding time! Please LOL. Listen… with the seasons ep, and the super busy weekend I just had… it’s gonna be like a week before we see this wedding. I had high hopes to make it before the update, but… at least I only have one more chapter in Round 10. 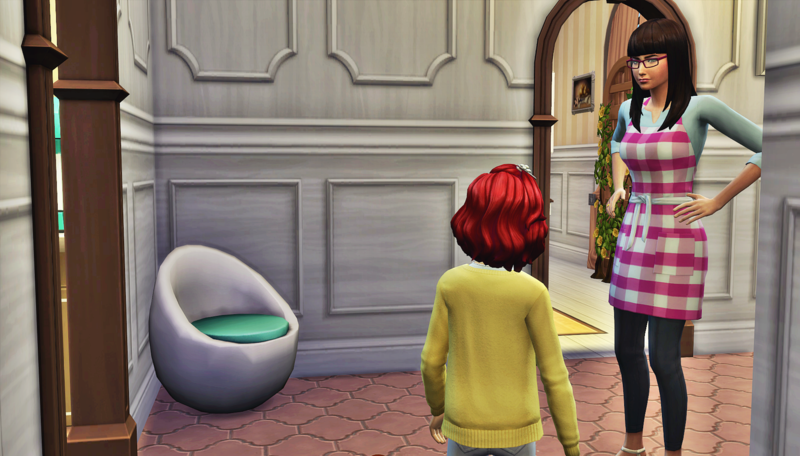 Now when it comes to these makeovers, Quincy is just the first of big changes. 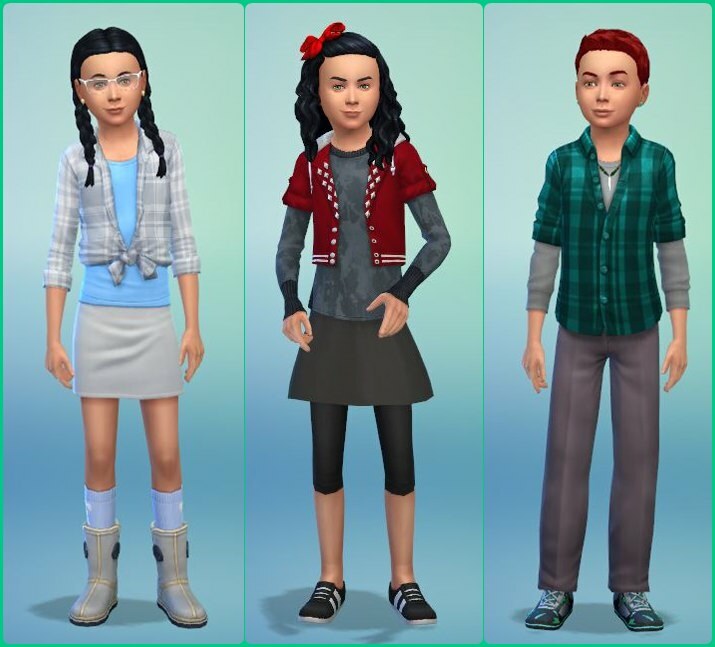 I was playing around in Create a Sim, and some of these “maybe” looks are becoming “definitely” looks in the next couple of months. I thought you were talking about my family there for a moment. Seriously. I have a family member who I call Great Grandma Aunt Opal. Lol, sounds about right. What’s funny is that the Chong family and the Epstein family both had oops babies (Emilie and Kamila), so they are children, but they have grown siblings who are all married with their own kids. I’m glad I keep a family tree going, otherwise I’d never keep it straight. But I love that you have a big family with lots of branches. I bet whoever designed these family tree apps are looking at all the ones with Sim families, super confused, lol. I was thinking that this morning as I was updating mine. He had a dad haircut since he was a teen, preparing for the life he wanted. But now that he’s about to be a married father of three, he wants to look a bit more edgy. He doesn’t know what to do with himself, hehe. Wait until you see what he does with his hair when he ages up! Lol, what’s crazy is the Epsteins have only intermingled into one family. It’s the Holloway family’s fault. 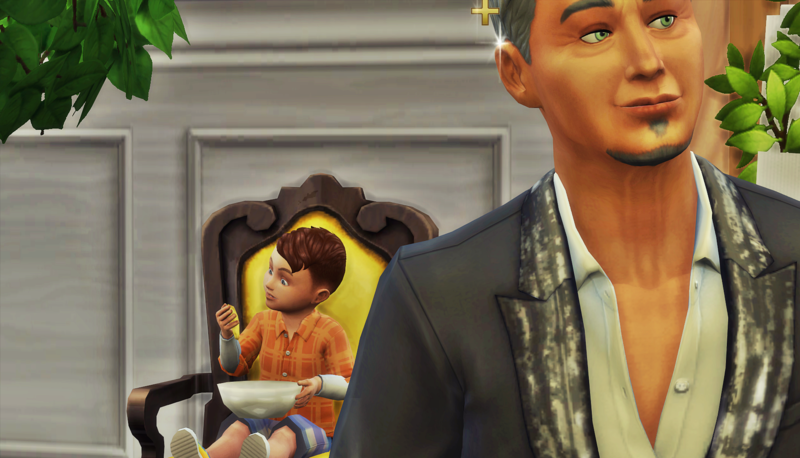 Luca’s wife comes with a whole townie family (the Chongs), and Daniella is now connected to the Epsteins. Edgy… badass.. basically the same thing.